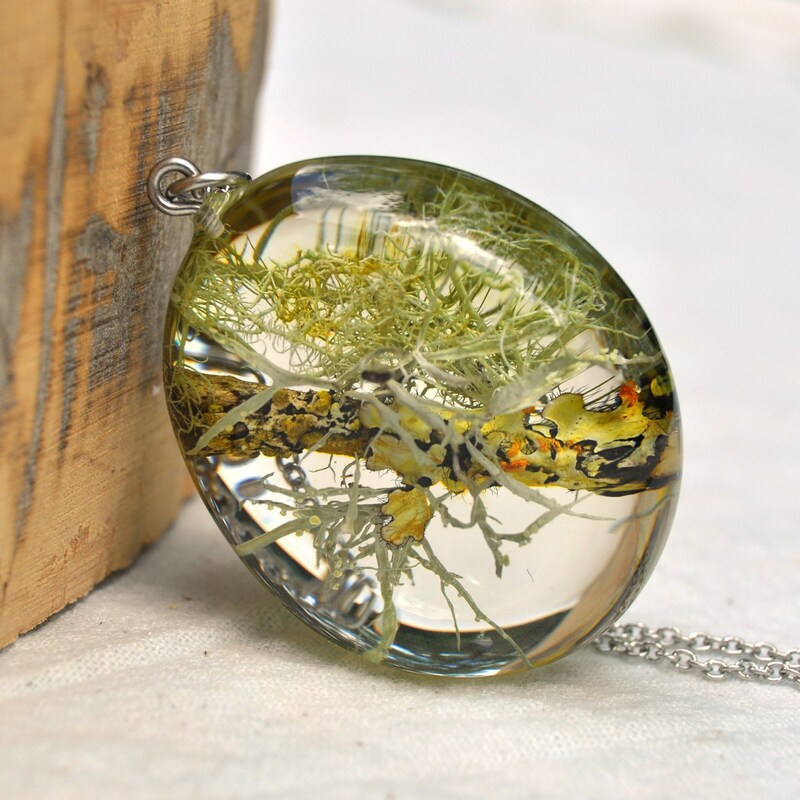 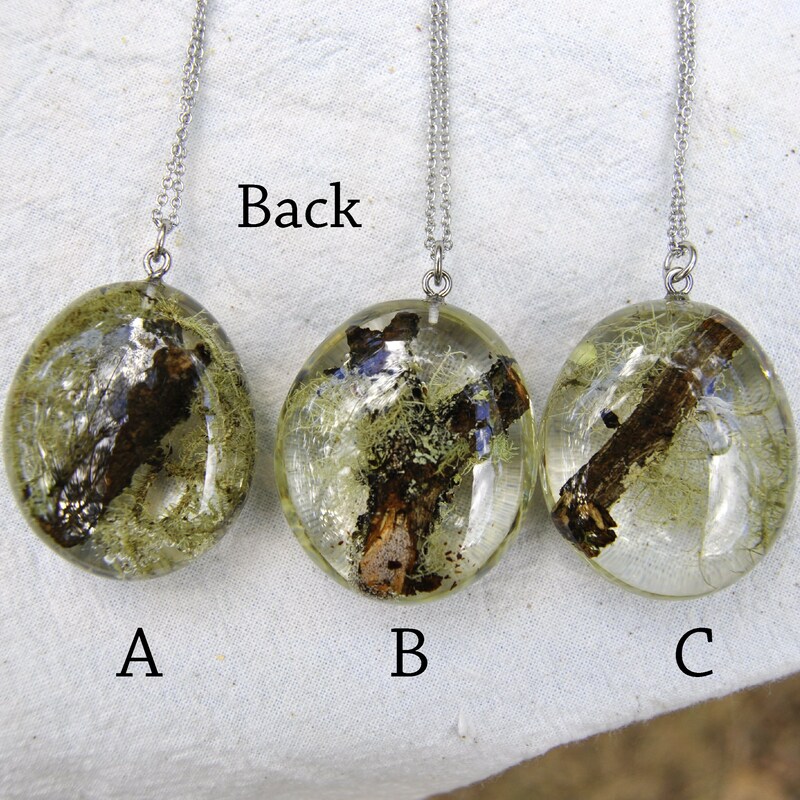 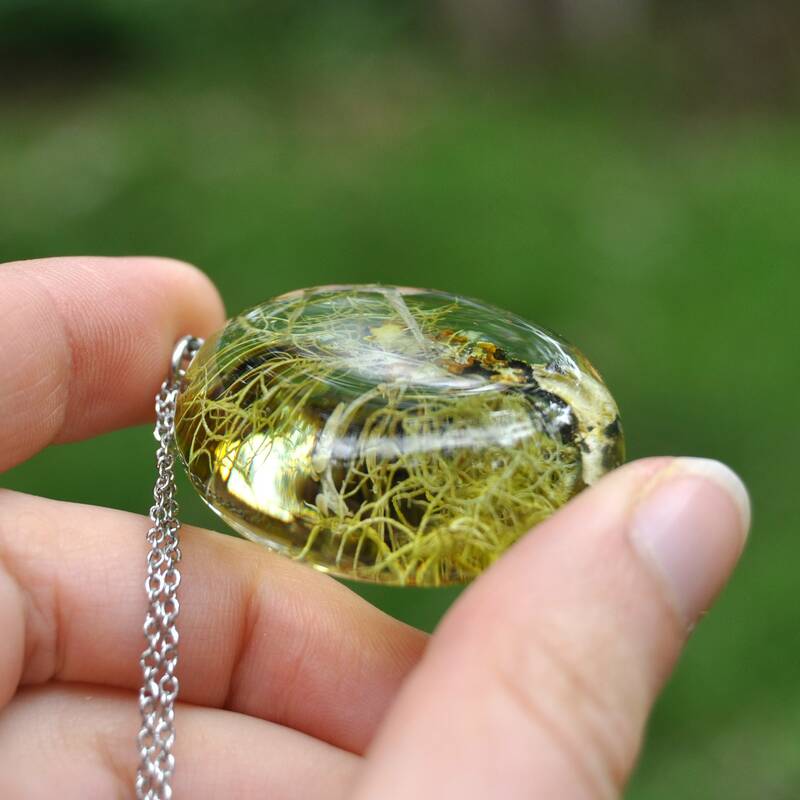 This necklace contains a twig from a witch-hazel bush, which is covered in real lichen and moss. 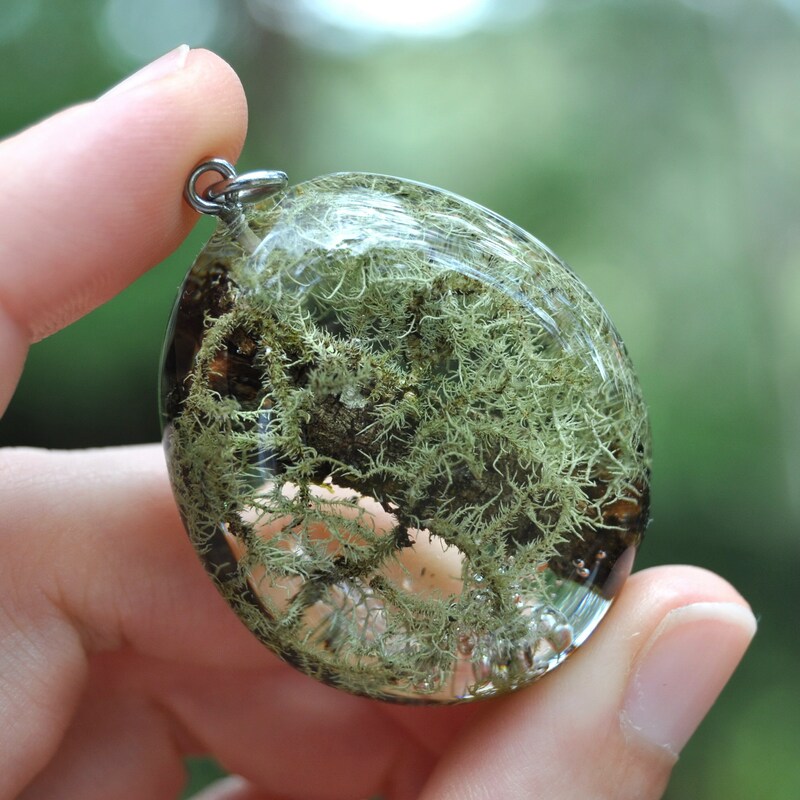 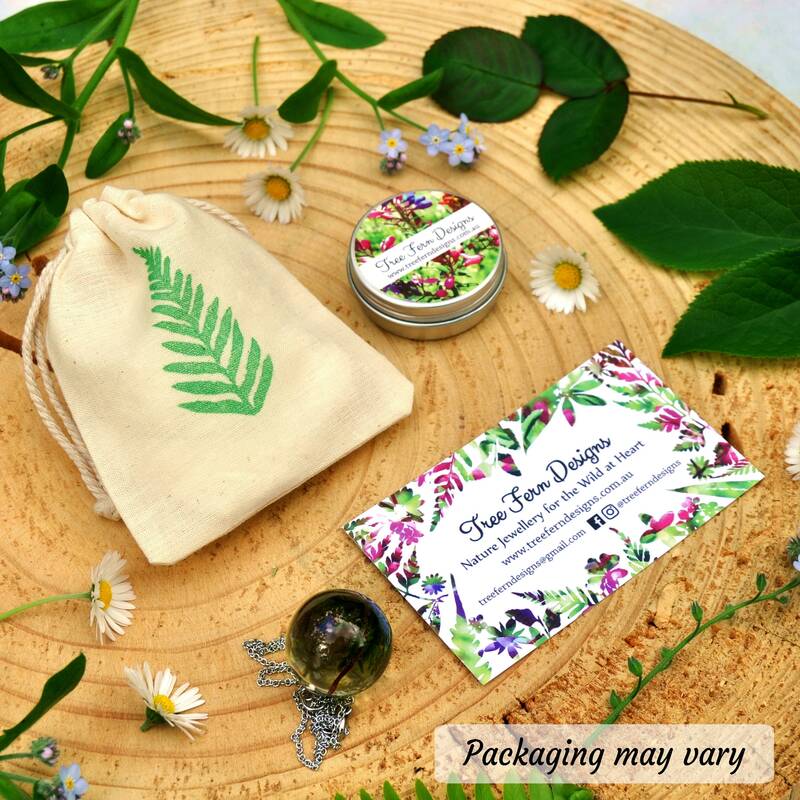 The twig has been set in clear eco resin, in an organic "pebble" shape. 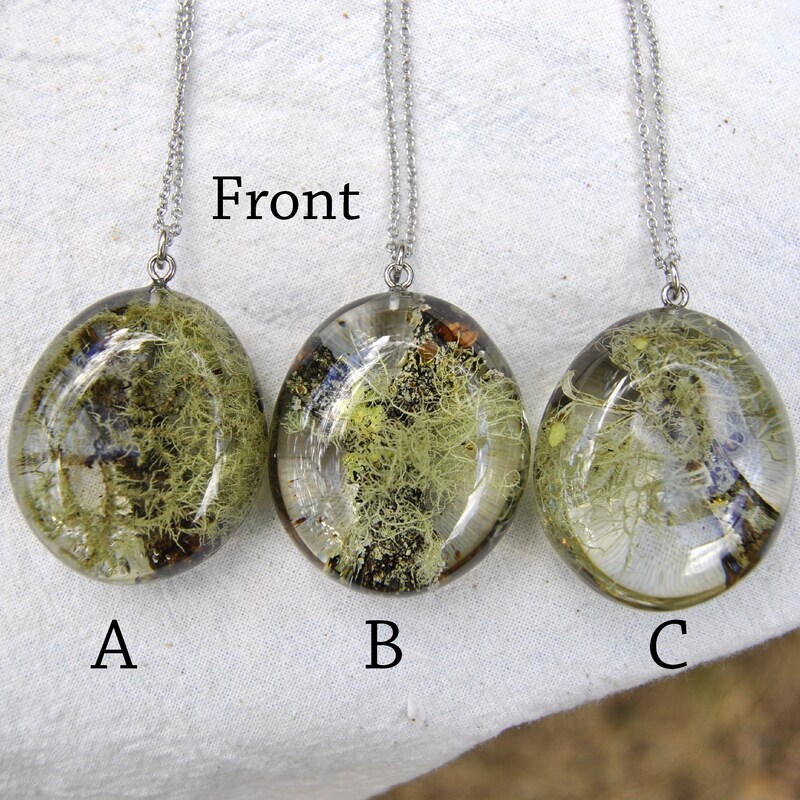 ♥ Plant: A twig, covered in an array of different lichens or mosses, in tones of pale green to yellow/orange. 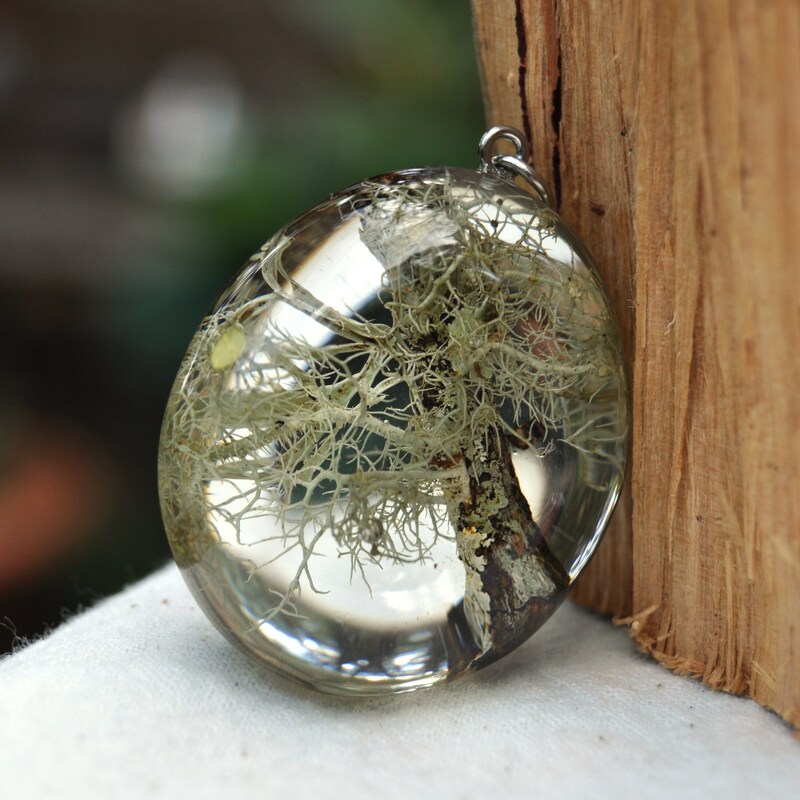 ♥ How it's made: the lichen twig is dried to keep it's 3D shape in a special process, then set in handmade mould with clear eco resin. 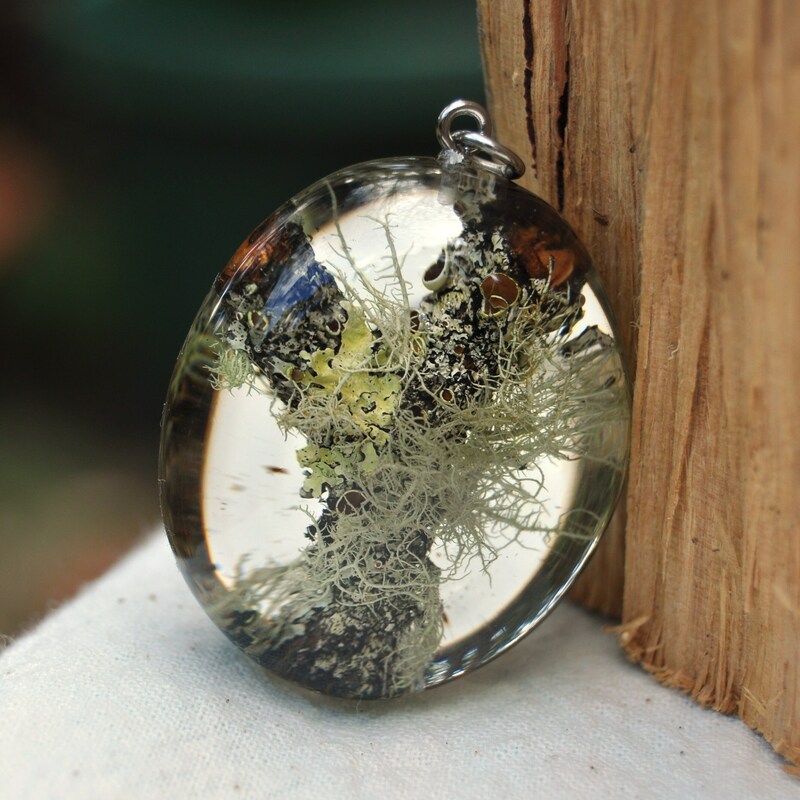 This particular shape is unique to my store, having been handmade by me from a pebble I collected from a nearby river (the Yarra River, in this case). 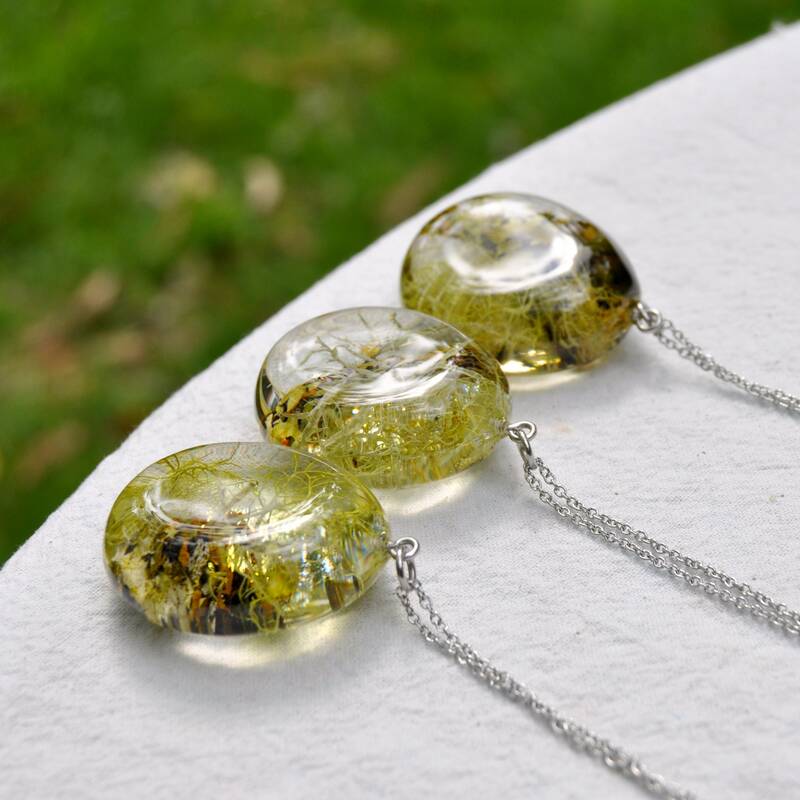 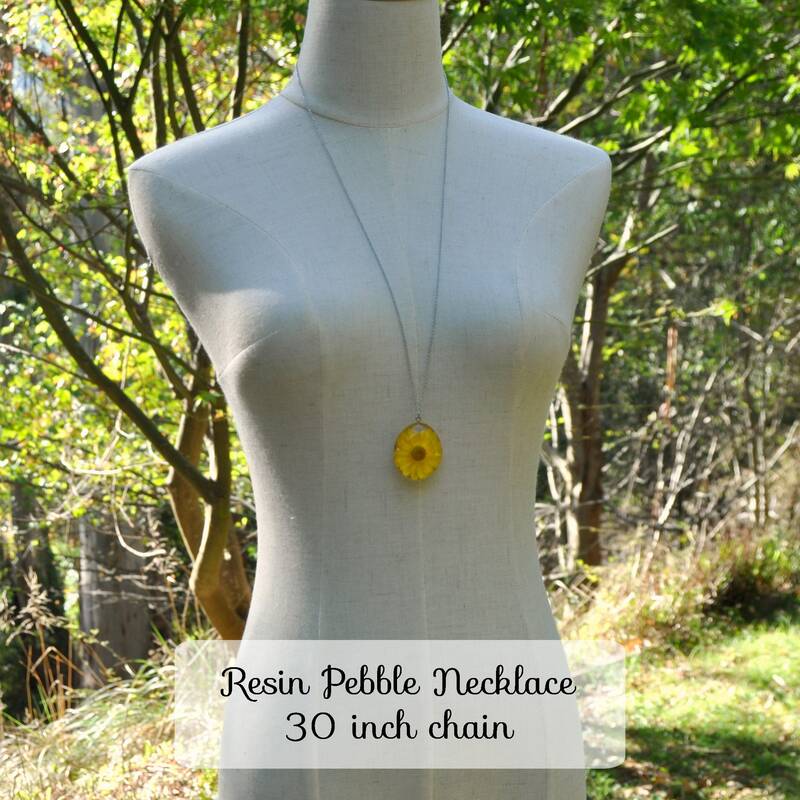 The 'pebble' is cast with a special layering technique - this is a time consuming process, however results in a higher-quality and long lasting piece, which fully protects the embedded botanical elements.